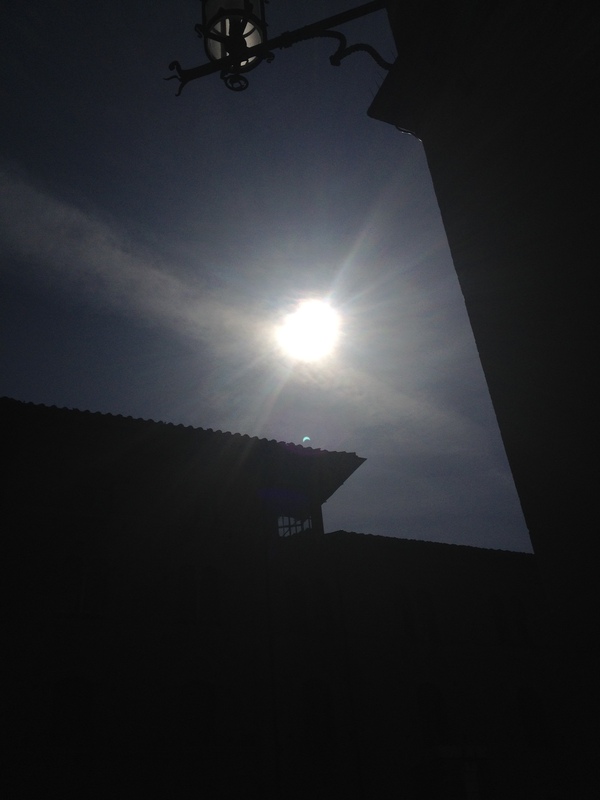 Today I experienced my first-ever solar eclipse, which, in light of my high expectations, was somewhat anticlimactic. Nonetheless, a partial eclipse sets a perfect stage for me to tell my partial origin story. Be sure to catch the gritty franchise reboot in a few years. This is the best picture I could get of the eclipse with my phone camera. If you want a better visual, imagine if a really big Phoenix Sandwich were burning so white-hot that you couldn’t look at it without sunglasses and you’re pretty much there. I’m sure the astronomically-minded among you know that there wasn’t an eclipse in the US any time recently, and have already placed me as being somewhere in Europe. Congrats, you future astrophysics majors and past Encyclopedia Brown fans; you’ve cracked the case. 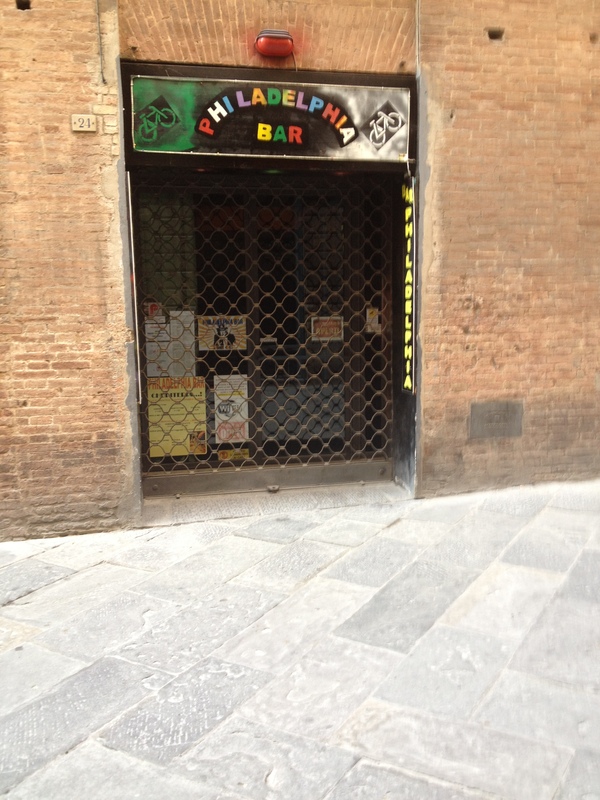 I’m writing this from my host family’s apartment in Siena, Italy, where I’m attending the Siena School for Liberal Arts. Since I’m a transfer student, this means that this is the third college-level institution I’ve attended in as many years. And yes, completing a different group of school applications every year is about as exhausting as it sounds. It was worth it, though. It was worth the effort for me to transfer to Swarthmore between first and second year, and there was no question of me passing up the opportunity to go abroad. I’ve been planning to study outside of the US at some point since I was eight and found out from ABC Family dramas that that was possible. However, transfers don’t normally get to do that, considering problems with credits and the need to take a certain amount of semesters on-campus. Swarthmore was very lenient in letting me go abroad, and I am very, very lucky. 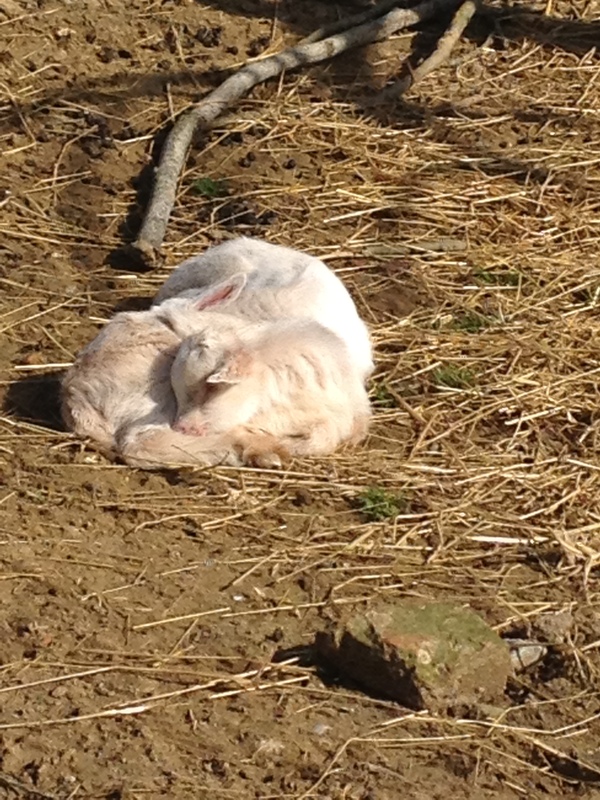 Lucky for the study abroad thing, but also because I saw these sleepy baby goats in real life this week and now I’m forever changed. 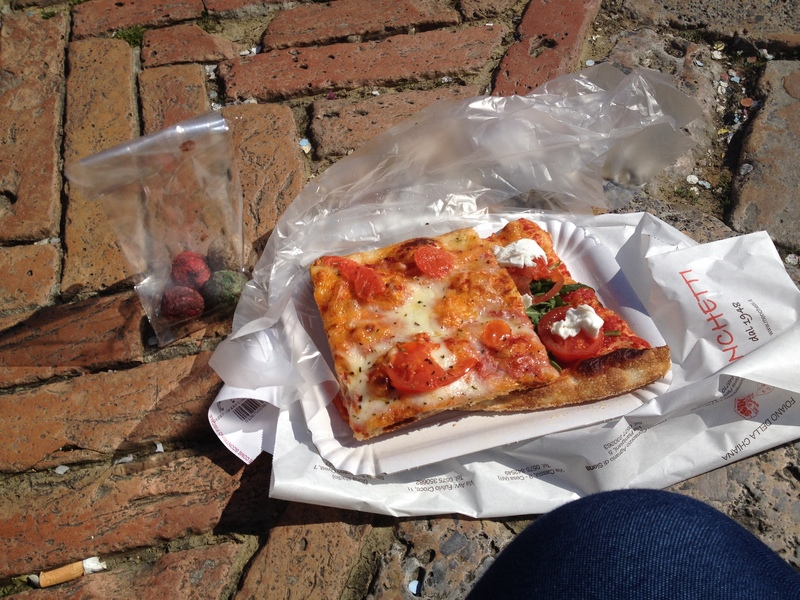 Pizza and/or gelato always within walking distance, for morale reasons. When I found SSLA, I began my application and sent my adviser, Donna Jo ‘Swarthmore’s Greatest Treasure’ Napoli, an email asking if she knew anything about the program. She actually did, in that she was going on sabbatical this semester to work with the school’s Deaf Studies program (among other Italian adventures), and that immediately decided it. I’m halfway through the semester now, and while I miss Swarthmore, the friends I left there and at my school before it, and all the regional Philly-area quirks that I’ve grown up with, Siena is an amazing city and this program is an amazing experience. It may not have a Wawa anywhere near here, but three hoagie-free months is probably worth it. Besides, for some reason Philadelphia never feels that far away. Although I guess that could be since I live down the street from this. *At Swat, a student must take 20 courses outside of their major to graduate (unless they’re a double major).